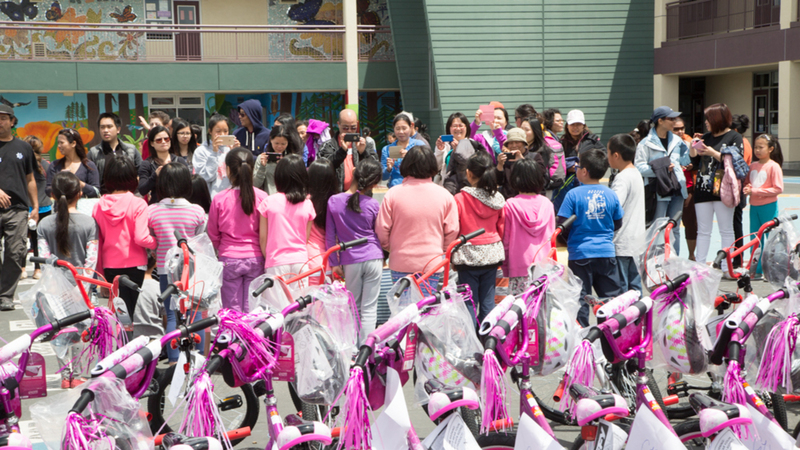 This Rotary Club of San Francisco annual event for selected local schoolchildren provides new bikes and equipment, as well as training on how to ride safely. 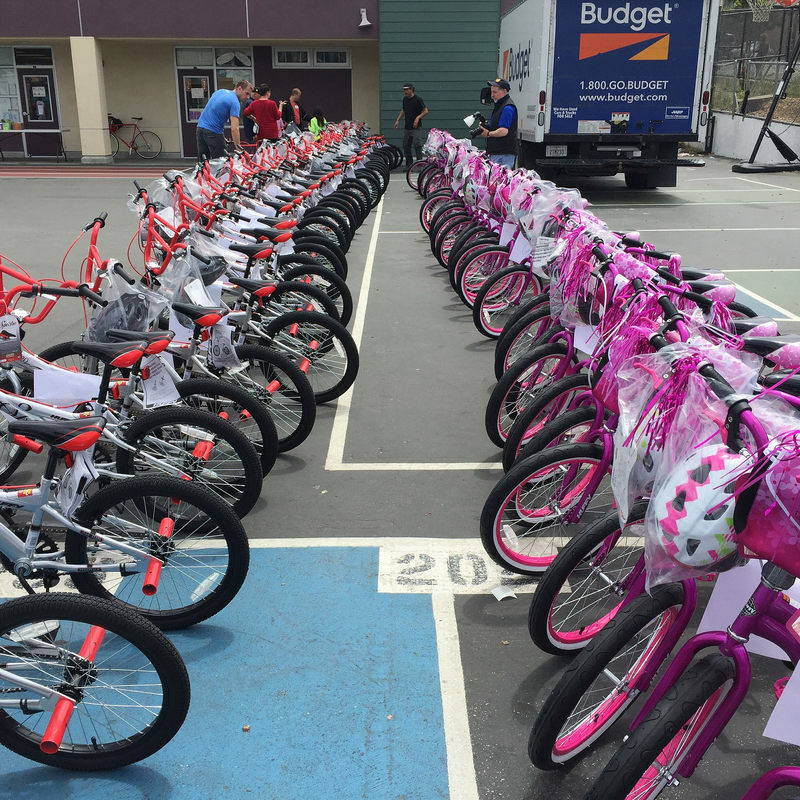 Background: Every year the Rotary Club of San Francisco coordinates with one city school to give children a bicycle, which is sometimes their first bicycle. 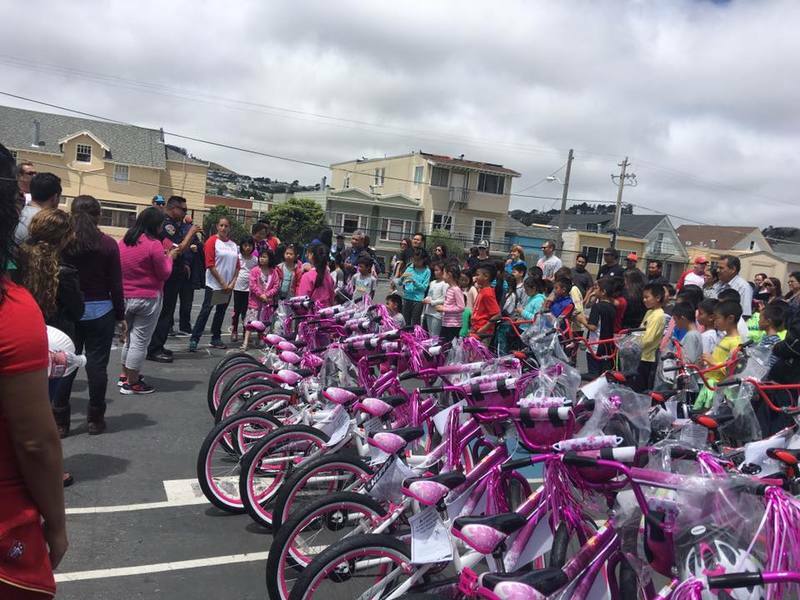 Rotary will coordinate with a San Francisco school to develop a list of kids who want to have a bike and can use it in their neighborhoods. Rotary volunteers will purchase the bikes and deliver them to the build site, usually at a selected school yard on a Saturday, May 13, 2017. Additional volunteers will spend much of the morning building the bikes and making sure that they are in perfect working order. 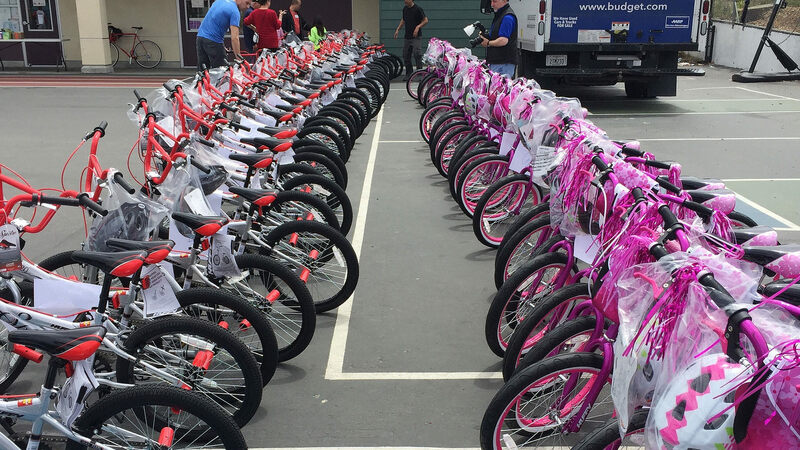 The recipients will arrive at the site in the late morning and will be given their bikes. What is needed and unit cost? How many? All funds raised above the target amount will be put towards additional bikes or the next Bike Build. All contributions are tax deductible as allowed by law. 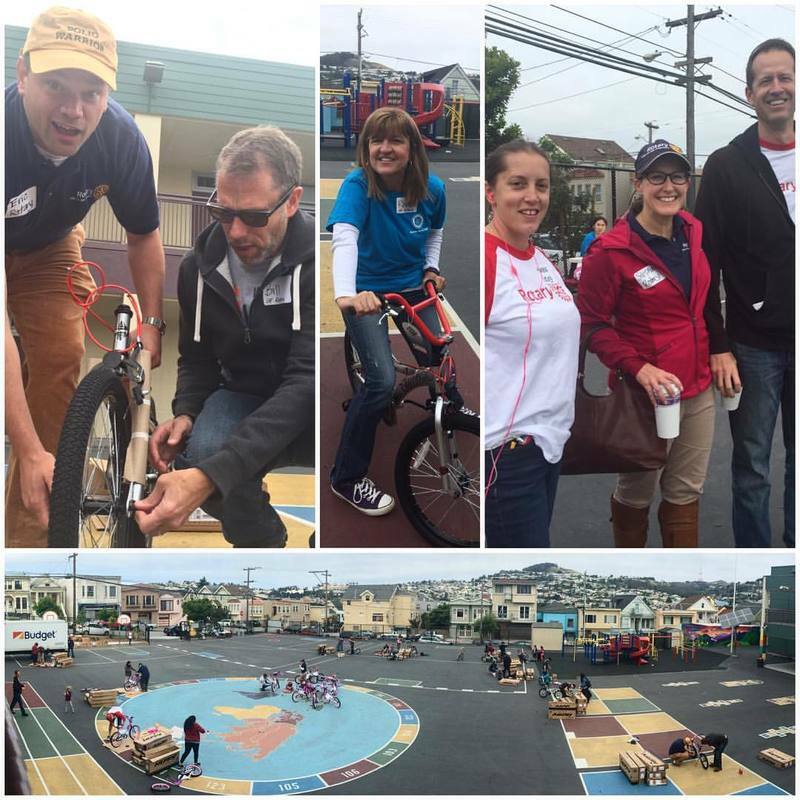 Rotary Services, Inc. is a 501c3 arm of the Rotary Club of San Francisco. Tax ID number 94-6064219. Volunteer opportunities are available for those who are interesting in helping to build the bikes and help the kids learn to ride them. It’s fun and personally rewarding. If you are interested, contact the event coordinator at SFRotary2@gmail.com. 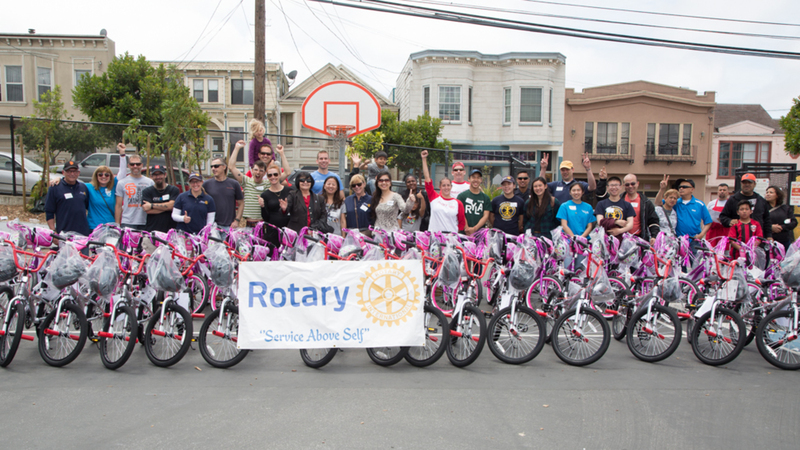 Please help us make a child’s day – even their year – by supporting Rotary Bike Build. 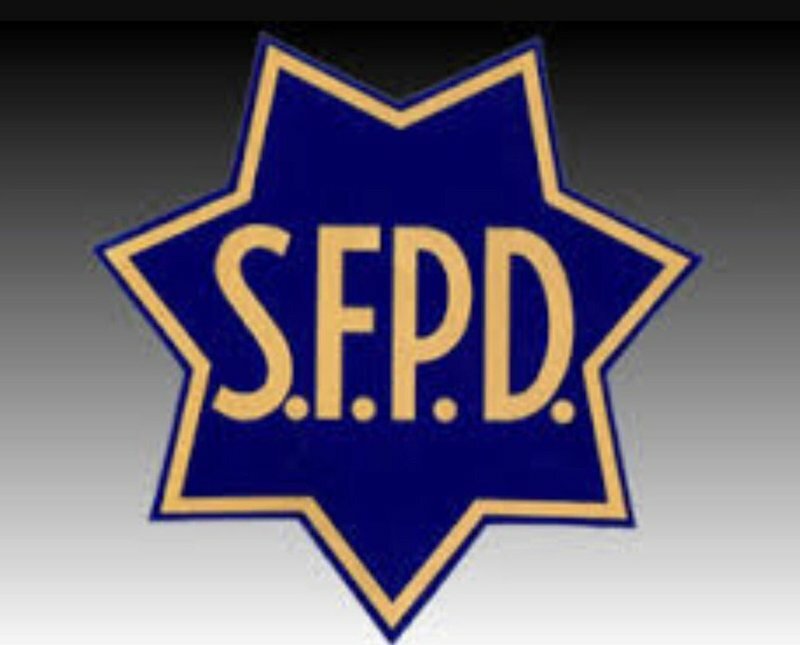 The San Francisco Rotary Foundation has generously offered to match dollar for dollar each contribution of $100 or more. 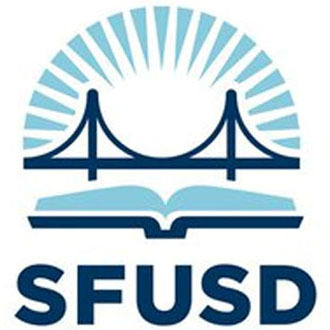 Due to the safety requirements for biking in various San Francisco neighborhoods, the selection of participating elementary schools will be done in cooperation with the San Francisco Unified School district and the San Francisco Police Department. 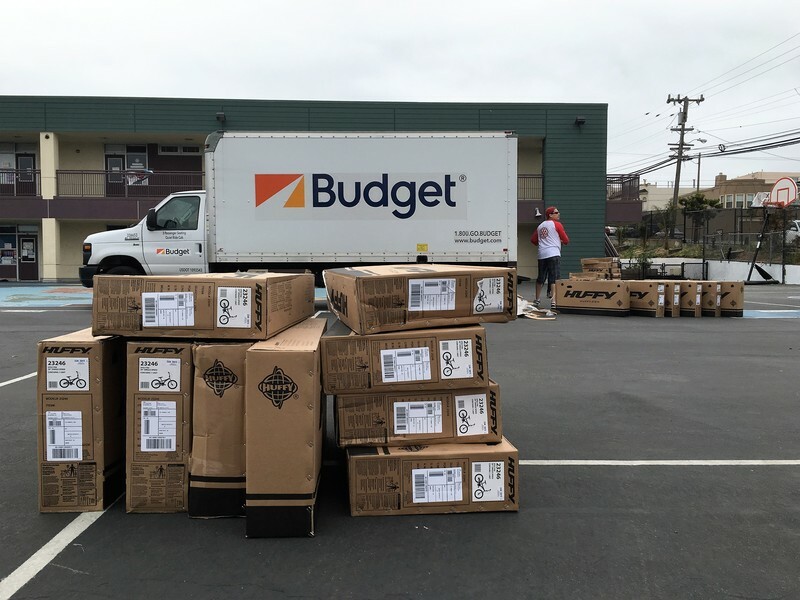 For US donations of $100 or more, as well as for those who volunteer to build bikes, a Rotary Bike Build shirt will be provided on the day of the event.